This year’s Engineering Nonlinearity Annual Review is set to be a special occasion. In honour of the fact that it is the final year of the project a Showcase Event will take place on the 3rd & 4th July 2017 at the University of Sheffield. It will be a chance for everyone involved in the ENL project, past and present, to come together for the final time to discuss, debate and update the project’s progress and discuss its impact and legacy. There will be presentations on the significant developments made across the five thematic areas as well as inputs from industrial partners. PhD students and Research Assistants will also be invited to take part in a poster session. 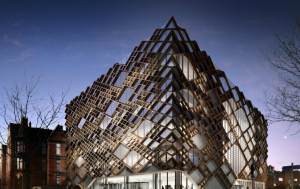 The event will take place in The Diamond, the University’s new £81 million award-winning building.